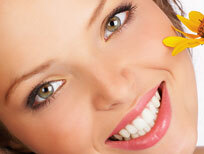 Cave Creek cosmetic dentist Dr. Brett Dameron loves to design and deliver smile makeovers. Call our pleasant team of professionals at (602) 992-1384 to schedule your consultation as soon as possible with your Cave Creek cosmetic dentist. Or just use our easy online form. At Dameron and Team we're committed to delivering the dental care you deserve! Cave Creek area cosmetic dentistry at Dameron and Team can produce amazingly natural-looking results! 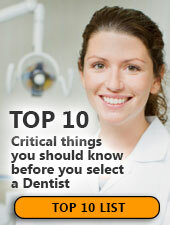 You can have a bright, healthy new smile after just one or two sessions with Brett Dameron, D.D.S.. It's faster and more affordable than you may think. At Dameron and Team we aim to maximize your insurance benefits and make any remaining balance easily affordable. Cave Creek area dentist Dr. Brett Dameron and his knowledgeable staff can help answer any of your insurance questions. Dameron and Team is a trusted Cave Creek area dental implants practice providing natural-looking, comfortable tooth replacement. We make it our mission to use a gentle touch during the process. If you're looking for a highly-trained cosmetic dentist in Anthem you've come to the right place. Dr. Brett Dameron offers cosmetic dentistry that Anthem residents have come to trust for caring and professional dental care. Developing healthy lifelong dental habits is the best way to prevent nearly every type of dental disease. Dr. Dameron recommends that you brush your teeth twice a day with a good toothpaste, floss between your teeth every day, eat a balanced diet and limit your between-meal snacks. Be sure to schedule regular dental care by calling Dameron and Team at (602) 992-1384. By making smart food choices and following a healthy dental routine, you can dramatically lower your risk of developing tooth decay. Take advantage of it and save a lot of money in the long run by avoiding costly procedures that result from poor dental habits. Our friendly staff at Dameron and Team will be happy to answer all your dental insurance questions. Just give us a call at (602) 992-1384.